I work in one of these types of (low decile = poor) schools in New Zealand – very high poverty (we frequently have to feed our students breakfast and provide them with lunch too ), high unemployment, poor housing, which brings associated health problems. I have previously taught in high decile schools (rich), in the UK & NZ. but never really felt that they were where I ‘fitted’. I love my school and my job – it is so satisfying to know that you are doing what you have been made to do and that you are making a difference. No, it’s not always easy – there have been a few days when 5 o’clock has been wine o’clock, but I am glad to say these are few and far between. I have a fantastic set of colleagues, who are all singing off the same page – that we want to offer the students a 1st class education, regardless and despite of their home lives. Thank you for being parents who stand to support staff in similar situations – I am sure that God will indeed raise your son to be a great leader. Thanks Stripy – great to hear your experiences. As a former teacher and now parent, I am SO INDEBTED to people like you who are called to work in these tough places. The way you’re raising these kids’ aspirations is incredible – perhaps you don’t always see it from day to day, but one day they’ll thank you for giving them the skills to work their way out of poverty. I hope my husband and I can serve the staff of this school through verbal encouragement and gratitude. Bless you Sharon, my sister-in-Christ – distant in geography, close in theology! It’s an awesome thing you’re doing. And beautifully written too! Great encouragement to hear this from you Becca! Wow, sounds like you’re doing amazing things in the ‘desert’. Jesus spent so much of his time with the poor – I’m sure He is blessing, and will continue to bless, your ministry. I’m also sure that there will be countless situations and people where you’re having a huge impact but don’t yet see the fruit. Press on! Having worked in a secondary school (in a deprived area) just out of special measures I have seen the positive impact that parents like you have had on the place. The children of these parents are great to work with as they’re such considerate people. WOW! Lucy, this is bold and mature stuff. It’s wonderful to see. Parents who want what’s right for the children do all manner of different things to get them an education, but yes, ultimately we will have to give an account to God for all our decisions ever, and the decisions about our children’s education therefore need to be coloured by him and in line with his will. Every parent will arrive at a different conclusion about schooling, but I do know this: engaging with our local community and getting alongside parents who are hurting are ALWAYS calls which Jesus makes on our life. For a parent like you who occupies an influential position in your demographic (using your current career break to tirelessly serve other parents including leading toddler groups, married to vicar of local church, etc) you can naturally spearhead the change you want to see at this school. They’ll love having you on board! And I’ll certainly join you in praying for Joel – I know Freddie really looks up to him and I’m sure his new classmates will too. Real faith in real life. I’m sure God smiles on your family. We applaud your decision. It is always best for a child to attend the school nearest his home, as it then becomes a sort of extension of home. Your involvement will help the other parents and the school. If we, as grandparents, could do anything to help, perhaps in a material sense, then let us know. One thing I believe will happen – you will start looking after Joel’s friends from school until their parents get home!!! Found your blog through Mumsnet and just wanted to say, as a fellow teacher, that I really admire and support your decision. I have taught in tough and comfortable areas and even in the toughest, there are lovely, bright kids and supportive parents. A school one of my friends works in was in a similar position to your local one – very poor inspections results etc – got a fantastic new head, more money put in for support, a young, enthusiastic staff and it is now most improved in its region. Plus, research suggests that it is positive parental input that decides a child’s educational outcome and your son sounds like he’s very lucky in that area. This is brilliant! I worked in a school who went into special measures and it was the best thing which happened! I am now a parent and I am amazed at the number of fellow parents who write-off schools on the basis of their OFSTED reports – or who think that because they were “Outstanding” they must be brilliant. This is not always the case. Good for you! Thanks so much for your encouragement! Yes, I think we teachers see it from a different angle, don’t we? I can understand parents just looking at Ofsted, because – let’s be frank – most of us don’t have a clue how to parent, we just play it by ear, and especially if you don’t have a background in education you won’t know what you’re looking for, so Ofsted is something concrete to read, something to help you feel like you’re doing the best for your child. But I would love to see parents better educated about our education system! After all, it’s changed a lot since we were young, and that’s most parents’ only experience of it. I found your blog through mumsnet. We were in exactly the same boat last year and dd has finished reception with exceeding expectations in all area. A lot of money has been thrown at the school and it is improving rapidly. Schools go up and down. The school down the road may well be sitting on their laurels thinking that middle class parents will ensure good results. Unfortunately OFSTED are becoming savy to lazy middle class schools. Absolutely – as a former teacher I agree entirely. In fact, the ‘better’ school down the road from us got ‘requires improvement’ just before Christmas, thus proving your point, although I try to take Ofsted with a pinch of salt, as they’re in school for such little time nowadays so they do most of their assessment based on written data, which represents only a fraction of what primary schools actually do for our kids! So encouraged by your story, one year ahead of us – thank you! Hi also coming here via mumsnet. My daughter is about to finish her first year at the unpopular local school. We didn’t choose it but it was the only one we could get into although there are many others in walking distance. I’ve had the opportunity to go on a couple of school trips now and 90% of the kids are lovely, caring little people. I try not to judge but yes some of the parents worry me when lunch is just 2 bags of crisps and breakfast is chocolate from the corner shop but I’ve also discovered that some of those loud mums with loads of kids are always the first to help out with the school fair or to come in and read with the kids. Academically she is thriving and socially she has friends from a wide.range of social and cultural backgrounds, which to me is an education in itself. The school also had a bad OFSTED at the start of the year but there is a new head and several new governors (including my husband) and i really think they can turn it into a positive. Found your blog through Mumsnet – we’ve just signed up our 3YO for a nursery school that got Requires Improvement last year, for much the same reasons! I saw a lot of positivity and dedication when we looked around, and there’s so much being done to improve things. Plus only five minutes’ walk from our new house. I really want to be part of that community effort, and I want my son to be a compassionate, open-minded person who can get on with anyone. He’s our oldest, so in a lot of ways I feel like I don’t really know what I’m doing – thank you for helping me feel like the decision was a good one! Thanks for the solidarity Rachel! Glad to have encouraged you, as you have encouraged me by reminding me that we’re not the only ones making this decision! Joel is our eldest too, so we’re totally fumbling around in the dark, but we have every confidence in the school’s ability to get the most out of each child who crosses its boundaries. The silence was deafening. I’m tired of well meaning Christians telling me God only wants the best for me. Really? It’s usually married Christians with families who say this and I want to scream, “NO… what YOU’ve got is His very best, you’re married, what I’ve got certainly is NOT his best for me at all. Well anyway, would appreciate your prayers please. And I’ll remember Joel in his school too. Thanks for taking the time to leave a comment. I’m so sorry for all that’s going on. There are no easy answers to suffering are there? Sometimes all we can cling to is the hope of heaven, the hope that one day we will all be made perfect as the bride of Christ. But we’ve been designed to have desires and dreams here on earth too – and whilst it’s amazing that we do have these, it can also be incredibly frustrating and depressing when they aren’t realised. Remembering you in prayer over the next few days. And yes, God does challenge us all in living radically for Him – whether we’re single, married, divorced, have kids, don’t have kids… Be encouraged that you’re not alone! Erm -whilst i agree that the LEA are putting serious resource in bringing below bar schools up – they are not going to bring them up to grammar school or oxbridge levels. It sounds like you and your husband each had a great education and your planning on giving your son a poorer one, deliberately denying him a chance of getting as good an education as you had and justifying it as being ‘what Jesus wants’. I’m surprised that you think your an authority on what Jesus wants for your son and I hope your son agrees with your choice when he does not get the chance to go to ‘oxbridge’. I think you should do the very best that you can for your son. Thanks for taking the time to comment, and especially expressing an opinion which I’m sure others are thinking but not saying. My husband and I did not go to grammar schools – just ordinary state schools. And when we got to Oxford, we met plenty of people who had come from schools like ours, or much worse. The Oxbridge entrance process is designed to test potential, not knowledge. Our primary schools were lovely, but no better than the one we’re sending our son too. Schools nowadays offer a heck of a wider education than they did when we were little. Ofsted does not give the whole picture, as its assessment is based mainly on data (they only usually spend one day in a school). 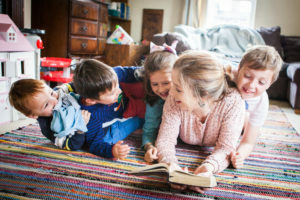 I don’t always find it easy to listen to God’s guidance, or to apply the Bible as it was intended, but I do think that my husband and I are the best people to judge what is right for our son, since we know him best – and we do so whilst attempting to take our standpoint from the Bible, not popular culture. All through the gospels, Jesus is mixing with a wide variety of people, but has a lot of time for the poor, the vulnerable, the marginalised. God has given us this fantastic opportunity to serve in an area with a lot of problems, and we’re grateful to Him for that. We would be delighted if our son wanted to follow our choice of university – and we’re certain that our choice of primary school is NOT a barrier to Oxbridge! We would also be equally proud of him if he went to any university, or if he chose not to go to university. Thanks for your blog post. My children are in a school that is likely to get a category 4 in it’s next inspection we knew the school had issues when we chose it but the positive atmosphere and the attitude of the staff sold the place to us over another good rated school that had places for them when we moved into the are. I have joined the school governors and am trying to put lots into the school to see improvement from all the children. I do have wobbles though from time to time about whether I’m doing the right thing and your words today have really encouraged me to stick in there and trust that God has a plan for us in this school. That is just SO encouraging – thank you for commenting! It sounds like you’ve done – and are doing – a wonderful thing. I think a few wobbles are to be expected when travelling the narrow path of what Jesus has asked of you – but, ultimately, it’s a path of more peace, joy and all sorts of new discoveries about ourselves, those around us, and God. Well done for sticking with it all, and for the time you put in as governor. I’m sure these things really make God smile 🙂 You’ve encouraged me that we’re not the only ones making this decision – thank you! when my eldest son was due to leave his infant school, the Junior school had been put into special measures. We looked at the alternatives (another local Junior School, or even private education) and spoke to the head of the infants, she told us that our child was lucky, the Junior school would be only going upwards, there would be a lot of investment, support and LEA input. If she had to make the same decision as us she would send her son without hesitation. She told us that we should support the school, that we could provide additional resources and input if we wished as most parents do anyway at home or on holidays, and that our children could only benefit. SHe also pointed out that it was the children currently leaving the juniors who had been let down. We sent both our sons, I became a parent governor for a while, and yes, occasionally we did support their learning outside school. BUT it was the right decision, our sons can now confidently communicate with people from all walks of life, can stand up for themselves if need be and also – perhaps more crucially – know when to walk away. I think you are making the right decision. Good luck. I forgot to mention that they both subsequently went to University, youngest is now doing a Masters, and eldest is settled at work and getting married soon! Not Oxbridge (they didn’t want to try for them) , but the first from our respective branches of our families to get to University. So proud of both of them.